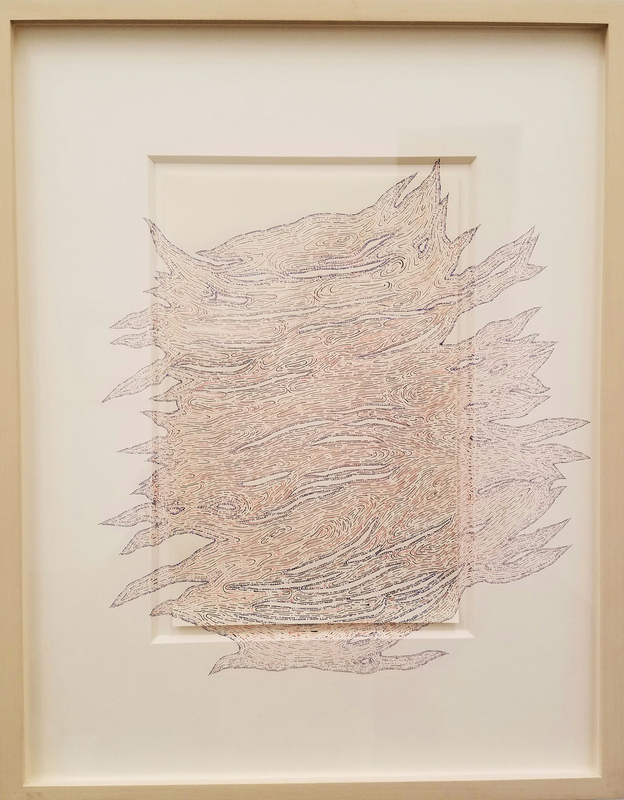 At James Siena‘s show at Pace Gallery, the back room is bursting with drawings that have “leaky margins,” where the mark making steps out beyond the paper’s edge and onto the matt and the frame. I was so delighted to see these. They have a quiet and relentless defiance that feels almost subversive. And in today’s political and cultural landscape of relinquishment, these understated examples of noncompliance are another way of saying yes to the emergent energies of #resist. The small and the quiet. Yes, there are the marches and the calls that have jammed the Congressional phone lines. But there are lots of ways to participate in this long walk to a better world. 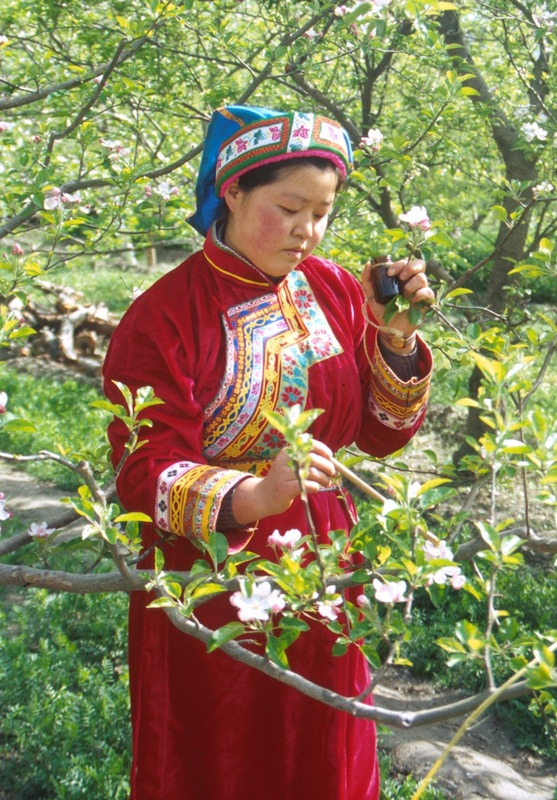 In parts of China, fruit trees are pollinated by hand. While many have assumed that this is a response to an absence of bees, that is not the full story. Honey bees are still present in many of these areas, and many fruit growers also keep bees for honey. It is a choice based on increasing the yield. The hand pollinators work quietly alongside the bees, not as a substitute for them. I experienced this collaborative efforting this weekend when I received a small, exquisitely conceived packet in the mail. 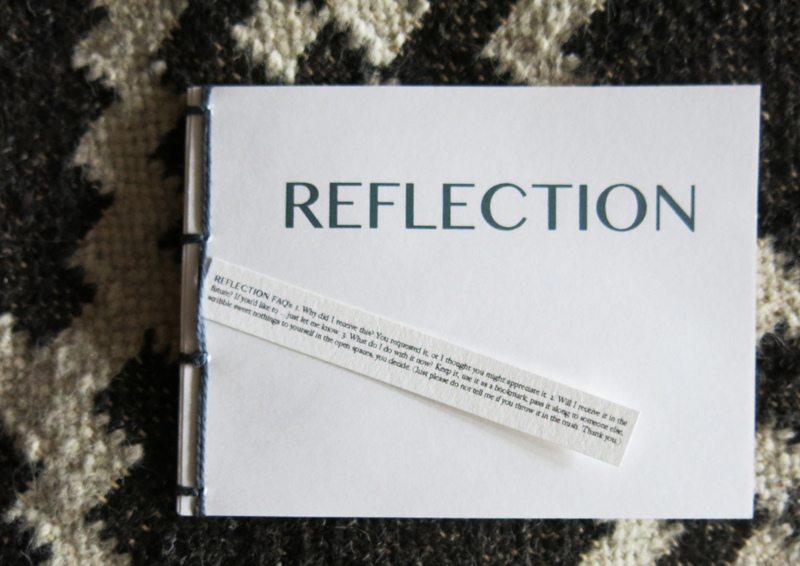 Reflection is described as a “hand-bound, limited edition, personal zine,” the product of Kerry Cudmore and her imprint, Intrinsic Magic Press*. Once inside, Reflection offers its hand-sized wisdom in alignment with the larger arcs we are hearing and seeing. 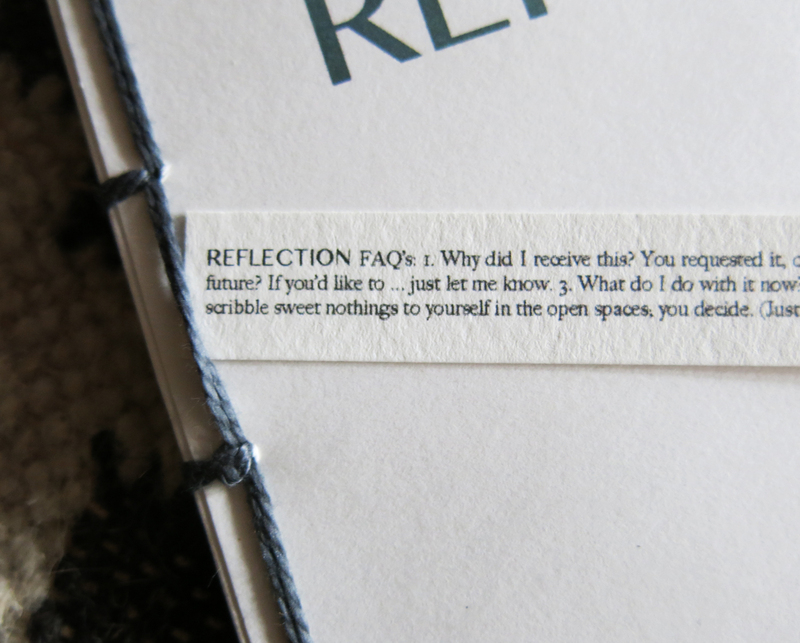 There’s room inside this tiny booklet for deep wisdom, wry humor, simple beauty, contemplation. embracing the idea that if I see it, I own it. I accept ownership and responsibility. celebrating, dreading, and yearning for the answers. Using a common form in an uncommon and highly personal manner, Cudmore’s creation inspired me and filled me with hope. Oh the many ways for the hand to make itself known! My current battles, waged at the dark forces devouring sane governance and responsible leadership, have been primarily cerebral-centric. 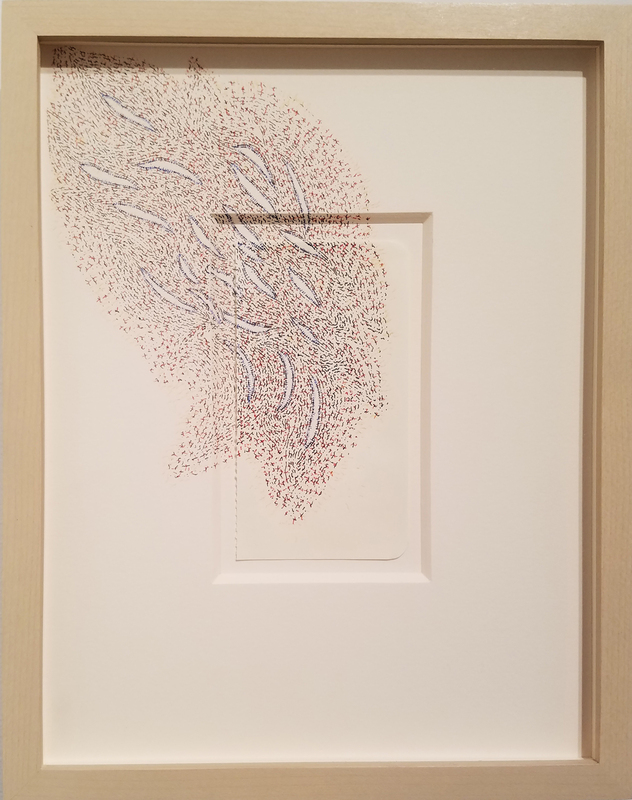 Siena’s drawings and Cudmore’s artful zine jewel both reminded me of the power of the small and the quiet. There are so many ways to pollinate the trees. Love both the Sienas and ‘Reflection’. Thanks so much Maureen. Siena is always good but these were really fabulous. Uncommon beauty, uncommon wisdom. Thank you for this nourishment dear Deborah. My sweet pal MLS! Thank you for your words. A beautiful post. It has given me hope for my own way of reacting, which is both small and quiet. The artwork is lovely, why be bound by the paper’s edge. The book most interesting as I too bind books and have done either blank books or one or two with words inside. I will look further into this. Thank you. Thanks so much for your words. Much appreciated.